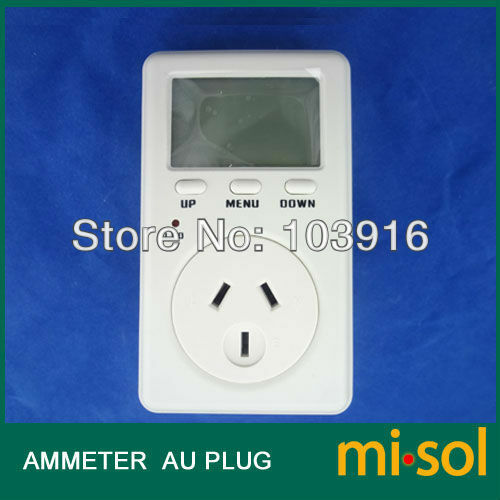 This listing includes: 10 units of power meter (ammeter), AU plug. This product not only provides power connection for the electric appliances,but also records operations of the appliances. Operation conditions on the display includes:voltage of power supply,real-time running power,electricity consumption,electricity cost,operation time ... At the same time,it provides analysis on real-time running power and gives out alarm automatically once abnormal operation occurs. This helps to use and maintain the appliances scientifically as well as save power and reduce waste. So,it is also called “power-saving guardian”.